Hellllllooooo out there in crafty blogland all! 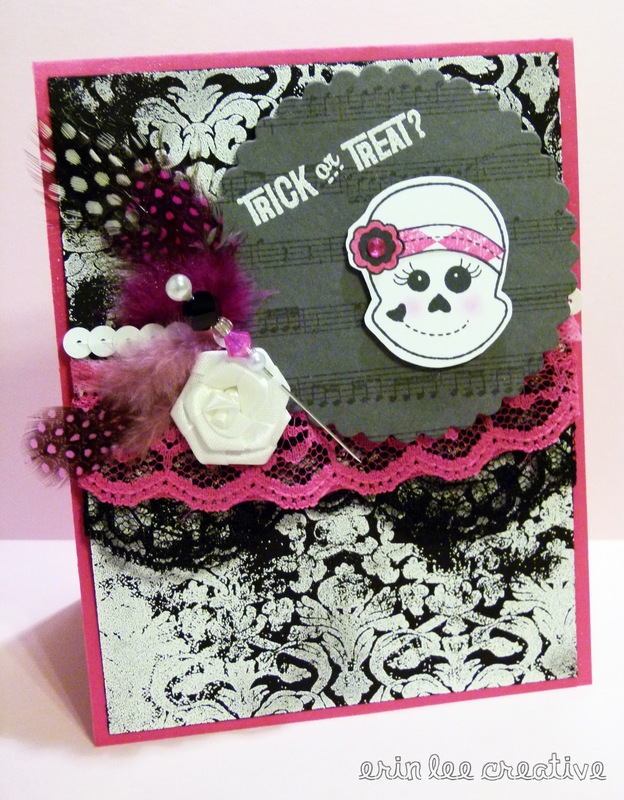 Today I’m bringing you a super sassy and spooky card using a whole lotta Market Street Stamps. I just absolutely adored this little skull cutie when I first saw the release of it. Ain’t she cute? Love her flower headband. I am a BIG fan as you know of MSS background stamps as well. So fun to play with. What’s even cooler is I didn’t even use any patterned paper on this entire card. With background stamps, you can create your own. Am also loving my heat embosser these days as well 😉 I used SU white embossing powder for the background and the sentiment. I am entering this into Market Street Stamps Block Party Challenge! So fun! Have a great day everyone.